KISS did not become one of the most successful rock bands in history by accident. Long before they first took the stage, Gene Simmons and Paul Stanley had a clear-cut operating plan for their business. Over the past forty years, KISS has sold over 100 million CDs and DVDs worldwide and manages over 3,000 licensed merchandise items. In addition to KISS, Simmons’ lucrative ventures include two hit reality shows, a professional sports team, a restaurant chain, and a record company. Most people think success comes from good luck or enormous talent, but many successful people achieve their accomplishments in a simpler way: through self-discipline. Brian Tracy knows this firsthand. He didn’t graduate from high school, and after working for a few years as a laborer, he realized he had limited skills and a limited future. But through the power of self-discipline, he changed his life, achieving success in sales and marketing, investing, real-estate development, and management consulting. He has consulted to more than 1,000 companies, given motivational speeches and seminars to more than four million people in 40 countries, and written 45 books. Your personal goals: self-discipline can help you realize that you are responsible for your success and shows you how persistence really does pay off. Your business and money goals: self-discipline can make you a better leader and a better manager, help you close more sales and make more money, improve your time-management and problem- solving abilities, and make you more effective and successful at work. Your overall happiness: self-discipline can help you be happier, healthier, and more physically fit, and it can help you in your marriage and your relationships with your children and friends. Each of the 21 chapters in this audiobook shows you how to be more disciplined in one aspect of your life, with end- of-chapter exercises to help you apply the “no excuses” approach to your own life. With these guidelines, you can learn how to be more successful in everything you do—instead of wistfully envying others who you think are just “luckier” than you. 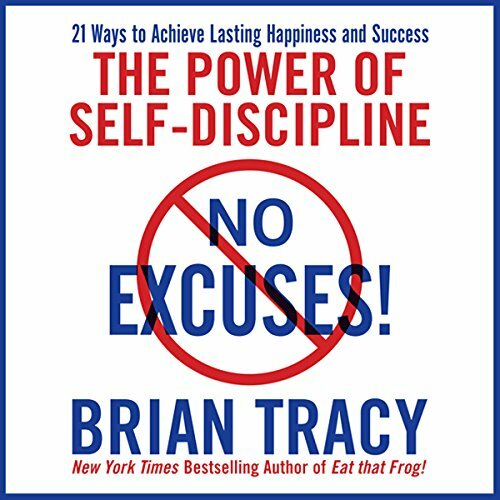 A little self-discipline goes a long way...so stop making excuses and listen to this audiobook! What would have made No Excuses! better? if it wasn't basically a jazzed up copy of Goals! I was pleased with his goals book and thought this one would help. it had the same questions as goals and I feel ripped off. Buy one or the other don't buy both, you'll regret it. Michelle, not Steve, Carver: I absolutely loved this book! I've probably listened to it to it 3 or 4 times already. It's very fast moving and the ideas are very well organized. I did not buy this book to find a never-before-heard of secret to self-discipline and so hearing familiar thoughts and ideas was in no way a disappointment to me. Rather I'd hoped to find motivational encouragement to put into practice those ideas I know to be true about achieving greatness in life and this book absolutely delivers! I'll definitely be listening to this book many more times. I honestly find myself already doing hard things that I would rather procrastinate and that is the motivation I hoped to find in this book. Two thumbs up! 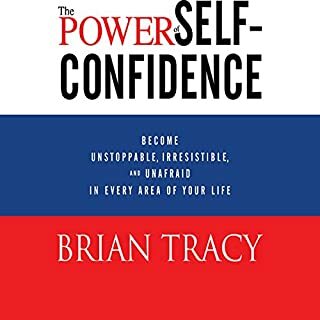 If you have not read or listened to Brian Tracy before this book will have value. But, as a long time fan/reader/listener I am disappointed. First, there is nothing really new here. Tracy makes many of the same points in several programs his has authored. He even tells one story that I first heard from him on a cassette (yes, cassette) series I purchased in 1997. Second, the book is not really about personal disciple. That is just a lead to connect topics he covers better in other programs – goal setting, time management, sales. Third, the audio quality is sub standard. Not to the point of distraction. But, for a person of his stature you would expect better. I am still a fan. But, would suggest you skip this offering. I picture people nodding off and drooling onto their desks listening to this. If someone were reading this with authority and enthusiasm, it would be brilliant. I couldn't even go through 30 minutes of the book to judge the content, the narrator is doing a really poor job as he keeps pausing in a very strange way every sentence or even in the middle of the sentence/word ! WELL ORGANIZED, CLEAR--HELPFUL. THANK YOU, B.T.! Yes, the publisher should have hired someone other than Mr. Tracy to narrate. He's monotone. I would have have deducted two stars just for that if there were a 100 star system. But because this book is so well put together, so informative, so helpful, I could not justify anything less than five. If you actually adopt Tracy's wisdom, then you are guaranteed success. But that's one big IF. Then again, if you are the type that seeks solutions (WHICH YOU PROBABLY ARE BY VIRTUE OF THE FACT THAT YOU ARE READING A REVIEW BY SOMEONE YOU DON'T EVEN KNOW ON A BOOK ABOUT SOLUTIONS), then maybe implementation is possible. Anyway, if you need guidance and motivation, this book delivers. Tracy is a bit of a genius. I have listened to this INCREDIBLE book once through and plan on starting again TODAY. IT'S THAT GOOD! For anyone with dreams of being successful, losing weight, eating healthy, starting a business, etc. it is time to stop making excuses and get moving. Brian Tracy shows you how to lose the negativity and offers a proven 7 step method for achieving your goals. His creative thinking technique of "Mind Storming" is one that can't fail. I loved this audio and think it is great for any negative person in your life. Get it for them and get them moving closer to their goals. I have been an Audible Gold member since 2003, and have downloaded over a 120 titles, with perhaps one-third of those in the self-development category. Being new to Brian Tracy, any re-purposed content was not an issue for me. I can simply say that his message whacked me in the forehead with the colloqial "4x4"...I recognized how I've let others direct my behavior, (especially in my career) and how "taking the path of least resistance" has led me exactly to where I am at this point in my life. disapointed, disaffected, and blaming others. More importantly, I can see how adopting a more disciplined approach, even with the smallest aspects of day-to-day life can lead me step by step toward the realization of my goals - goals I set myself based on a new-found awareness of what is most important to me. His delivery didn't pose a challenge for me - he sets a very measured, but earnest tone that is compelling and conversational. Brian touches on choices. We choose results or we make up excuses. It's not a story. It's life, your life without excuses. Mr. Tracy has succeeded and brings success to the table. Choose to not make excuses. Get over being intimidated. Make that 100 calls. Audio is great. I can make notes to refer back to, however after I have heard the book, if it is as good as this book, I also like to pick up a hard copy and read it. I can highlight important parts and refer back to them. Audible is a great way to build a library of good books while you are driving. After a serious nervous breakdown at work I decided my life had to change to prevent this from ever happening again but had no idea on how to go about doing this. The title of this book really appealed to me and after buying and listening to the practical advice this book offers I will recommend it to anybody who needs a life change or a kick in the pants. I was patient, I waited until near the end but Brian - just adding 'Self-Discipline and " to a chapter heading on things you've written about before (repeatedly) doesn't make it a book about self-discipline. I've read widely in this area (Covey, Robbins, Ziglar, Rohn, Canfield) and 1) there's not an original thought here and 2) I was looking on advice about self-discipline and there really wasn't any. Just 'Self Discipline and ..... business, wealth, work, time management. In effect, chapters about those subjects with Self-Discipline added to the title but little actual advice on SD! You're a good writer but you're getting repretitive. And stop pausing after 'the' or 'and' - it sounds like you've forgotten what you're going to say. In a nutshell, the advice is good but it is NOT what the title promises. Buy something cheaper. 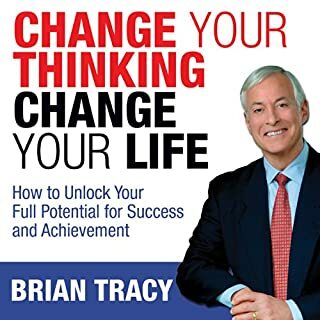 It is not easy to criticise Brian Tracy as his work is generally outstanding and this audiobook does contain a few gems, BUT there is nothing new. It is all his old work over many years simply preceded by a paragraph on how it takes self discipline to achieve ( sales, money, time management etc etc). Having several of his other books, I regret buying this one. Not inclusive of anyone who is not in the club, and very much a product of it's time... But there's still some useful info in there too. No Excuses - Find a different narrator! How has this bloke managed to achieve anything bar sending people to sleep?! 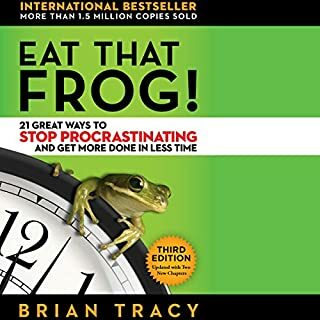 After reading and enjoying Eat the Frog, and seeing the good reviews for the print version of this book, I expected something that would be of use. However, Tracy's delivery is just terrible! Quiet almost to the point of mumbling, and pauses so long you have to check the book is still playing. This is the first audiobook I'll be returning based upon the narrator. This is basically a peptalk for business people on a career path. I'm not one of those and so got nothing out of it. Don't dismiss...there is wisdom within! This audiobook constitutes a comprehensive overview of self-discipline in all areas of life. I found the book a little bit annoying at first, but I put that down to my engrained English cynicism. The further I got into the material the more I realised that there was a huge amount of wisdom and common sense being spoken. The narration is clear and unfussy and the material is potentially life-changing, if you have the discipline to put it into practise! 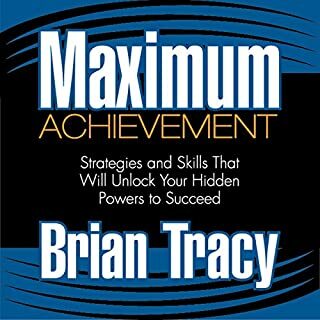 I'm a big fan of Brian Tracy and have been delighted with this audiobook. It is his usual combination of inspiration and nuts and bolts suggestions. I have listened to it several times and am amazed at the number of good ideas it contains. Highly recommended! the book is world class, full of knowledge and can be applied everyday to help push yourself to higher limits. Didn't like him swallowing often. Great concepts. Didn't enjoy sales chapter & some others. Main concepts are good. This book is exactly the kick in the bum I needed. Highly recommend it to anyone with a whole list of excuses. Why didn’t I read this book earlier? 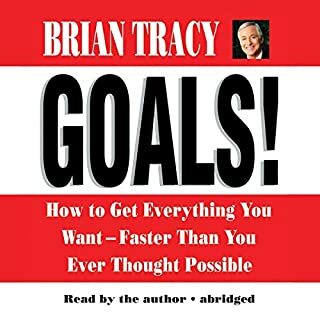 Loved listening to Brian Tracy’s book. His voice is so therapeutic to listen to as well. Digressing here on the review.. but over the past few days I’ve been applying Mr Tracy’s advice and I’m conquering my fears one by one. It’s not just discipline but also development as well. Thank you I’ve learned a lot from this book. need to listen to this several times. this is one of those books that covers a lot of ground. 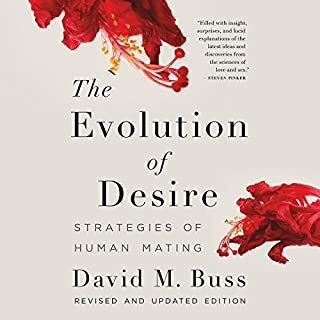 not a once read/listened to book. Listened twice because the info is so worthwhile. The reader/author needs training in modulation and appropriate pausing. The delivery made it difficult to listen to but this was overshadowed by the quality of the material. Great book, but a few unnecessary digressions. This book is highly motivating but I found it odd learning about sales in a book meant to teach you about self discipline. Otherwise Great book. wide range of personal growth topics. Told in a way it's very easy to grasp. Great practical advice and reasoning behind it. Anybody could follow the principles explained yet to become one of the top ranked people the author describes takes a lot more work, determination and sacrifice than what he makes out. Lots of great ideas for personal reflection in here and definitely something for everyone to help improve their lives. I am going straight back to listen to it again to take notes and complete more of the exercises given.